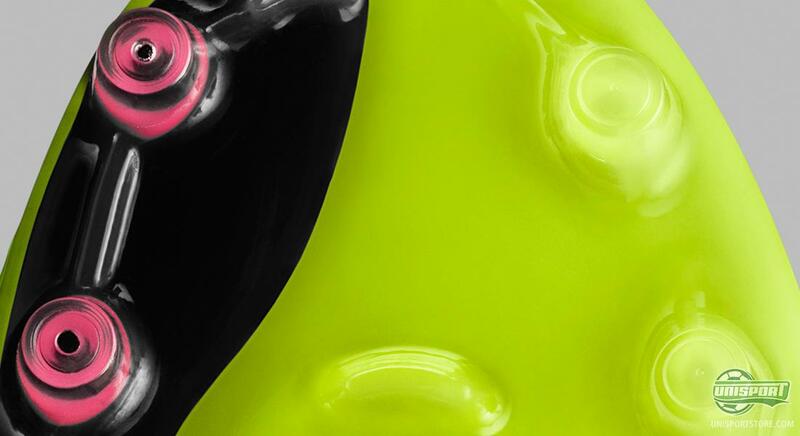 Expectations for Nike's new football boot, the Nike Magista, has been off the scale, and today Nike could finally reveal the new football boot. The revolution the will change the game of football, is what Nike call it. And from the first glance, it seems that Nike are right. For about a week, Nike have been teasing us with videos and pictures with a blurred football boot, which Iniesta, Götze, Thiago Silva and Christian Eriksen have all been testing. With comments like “feels like a sock”, “it's like a second skin” and “unbelievable”, Nike have managed to keep our attention all the way through today, where the football boot was presented at a grand scale event in the home town of Iniesta, Barcelona. 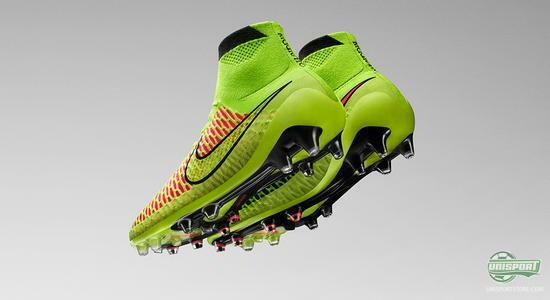 Sign up here to be among the very first to receive the relevant information on the Nike Magista. And what a boot. 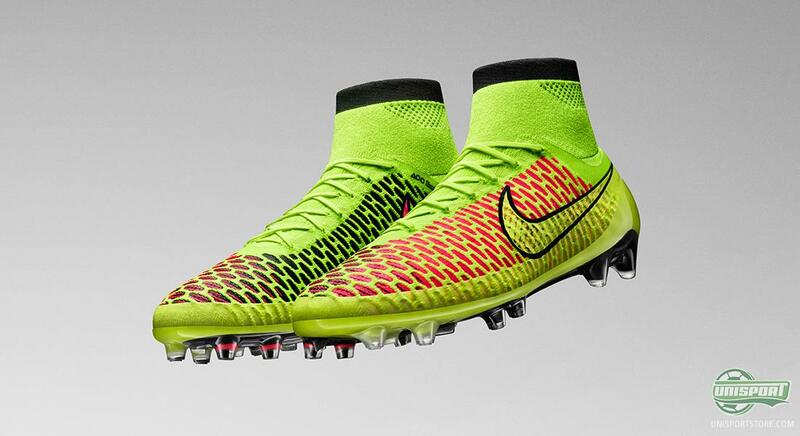 And this actually a rather accurate description of the Nike Magista – a boot. The worlds first football boot made from Nike's innovative Flyknit material, which covers the ankle and forms a boot-like shape, something football boots have never had before. For a long time, Nike's researchers have tried to find the perfect combination of freedom of movement from the sock and the support and stability from a football boot. About two years ago, Nike presented the innovative Flyknit technology for the running shoes. A material of knitted fabric that provides the very best flexibility and freedom of movement a shoe can deliver, while also keeping the advantages of a running shoe. During the days leading up to the launch of the Nike Magista, Nike provided us with some clues with references to the Flyknit material also being associated with revolutionising football boot. 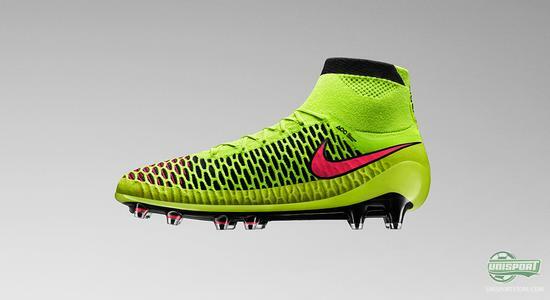 And at the launch today it became reality; the Nike Magista as made with Flyknit. The entire upper is made from the innovative material, and Nike have hereby transferred the sock-like feel from their running shoes to their latest football boot. The ambition to give football players the optimal freedom and flexibility is something that Adidas have also strived for, with their Samba Primeknit. But Nike have taken things a step further and created a football boot, that covers and provides support for your ankle, by including their mid-cut Dynamic Fit Collar, also made of Nike Flyknit. The thought behind the mid-cut Dynamic Fit Collar is that it provides the support needed for your foot, as well as providing a dynamic fit, which will literally give you the feeling of a football that is tailored for your foot, regardless of size and shape. With the Nike Magista, the focus is very much on creating the most genuine sock-like experience, because this football boot follows the natural shape of the foot like a soft and flexible additional layer of skin. 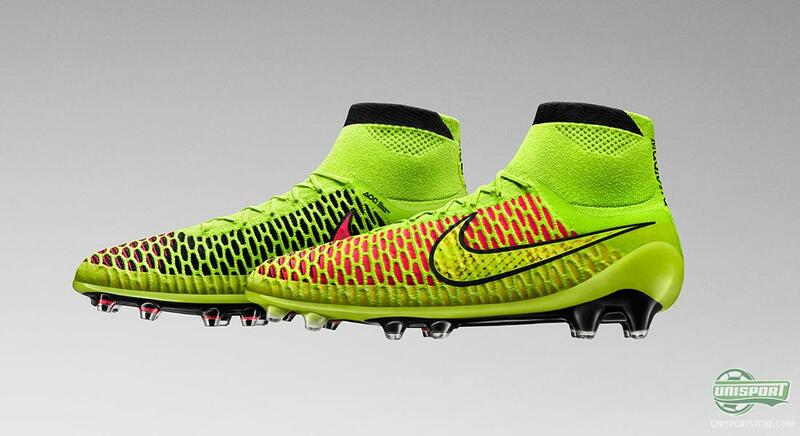 The new Nike Magista football boot has been created with the typical playmaker in mind. A type of player that needs a 100 % freedom of movement, and absolute control of the ball. 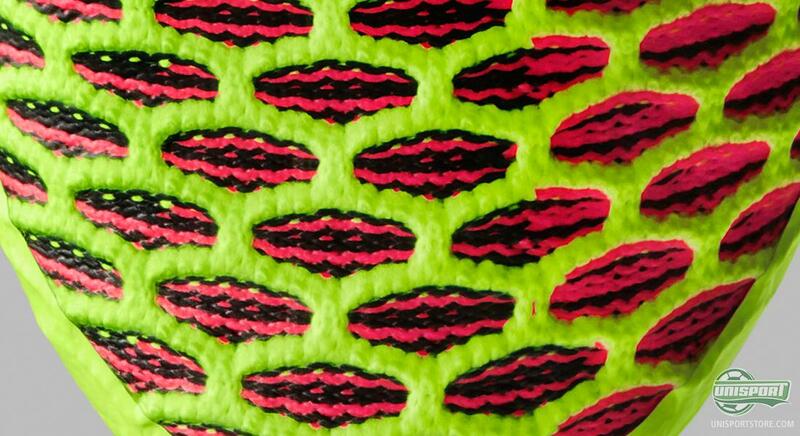 The sole is similar to that of the Nike Hypervenom football boot. It is a sole created for rapid changes of directions, and a high flexbility. Nike Magista is equipped with a whole lot of rounded studs. Though a few bladed studs have made its way to the new Nike Magista football boot. They make accelleration easier when getting away from your direct opponent. An obvious question would be if this football boot gets heavey, when used in wet conditions. Certainley a material like this would have to take in a lot of water when it rains? To prevent this problem Nike have added their All Conditions Control (ACC) to the new Nike Magista football boot. Not only does ACC reduce water intake, it also ensures that you have the same control of the ball, regardless of the weather. 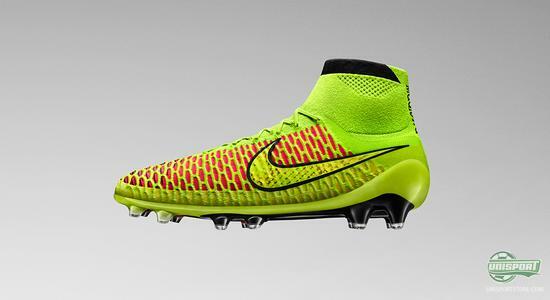 Therefore the Nike Magista football boot weighs in at only 205g. 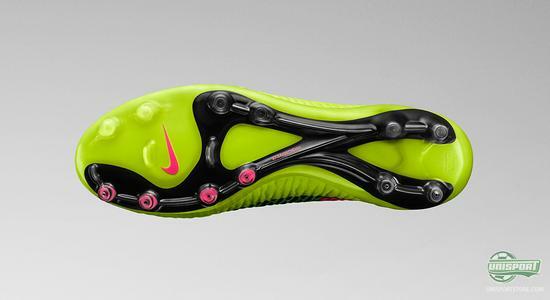 Pretty good for a football boot with all this modern technology. So, even if you would fear that Nikes eagerness to provide a sock-like experience, would create a football boot that both gets heavy and makes your foot wet in wet conditions; then Nike have ensured to create a football boot takes the best from both worlds and have developed the most complete football boot so far. The Nike Magista is built with the X1 last, which is developed in cooperation with foot experts, and is also known from other Nike boots. Nike have been working tirelessly on finding the football boot that could provide an optimal fit for as many different types of feet as possible, and with the new Magista Nike have truly changed the rules for football boot designing. Nike has just presented their latest revolution, the Nike Magista, with certainly pushes the boundaries for a football boot. 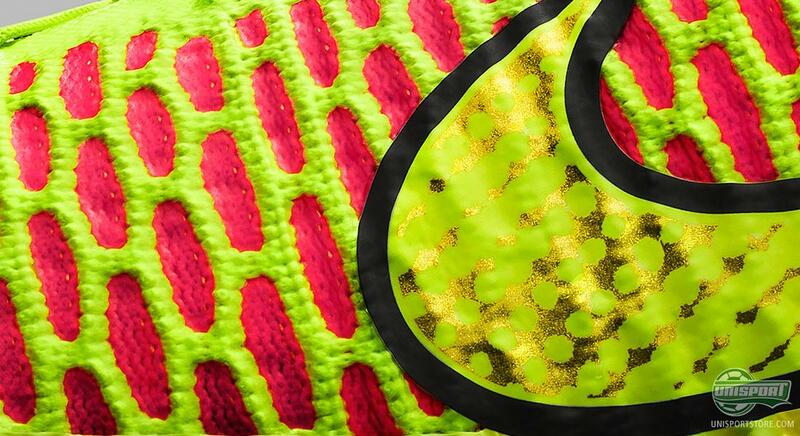 We are looking forward to getting a closer look at the new Nike Magista. In the meantime you can sign up right here to receive the very latest news regarding the boot and ordering.